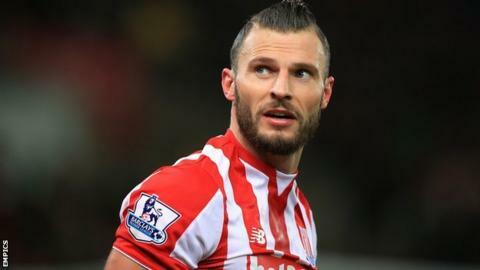 Defender Erik Pieters says Stoke City have silenced some of their critics after ending their recent poor run of results with victory at Bournemouth. The Potters' 3-1 win was their first triumph in four Premier League games and followed successive 3-0 defeats by Manchester United and Everton. "It's hard when we lose a couple of games 3-0 and people say we can't play football anymore," Pieters, 27, said. "But we showed we're really confident in our play." Stoke's league form stuttered during a period in which they lost their League Cup semi-final tie to Liverpool on penalties and went out of the FA Cup to Crystal Palace. But following their performance against the Cherries, Pieters says their self-belief has returned. "When you lose, it's hard to see that [confidence] but you have to do it together and we did that," he told BBC Radio Stoke. Stoke are tenth in the Premier League and, with only five points separating sixth-placed Southampton and Everton, one place below the Potters in 11th, Pieters is bullish about their chances of staying in the top half of the table. "There are 13 games to go and the top ten is always on our mind," the Dutchman said. "We have to keep focussed on that." With the club now set for a week's warm-weather training in Dubai, Pieters hopes it will allow some injured players - including fellow defenders Marc Muniesa (hamstring) and Glen Johnson (knee)- to recover. "It's unbelievable the amount of injuries we've picked up - it's hard but you have to deal with it," Pieters said. "Hopefully we can relax and get our bodies ready for the final games."